The depth resolution and the recordable object depth range, obtainable with parallel, toed-in and sliding aperture camera configurations for multiview image acquisition in the three-dimensional imaging systems, are found by assuming that the camera lens resolution is diffraction limited and the resolution of the recorded image is limited by a pixel pitch of the imaging sensor. The depth resolution for the holographic image is calculated and compared with that of the multiview images for the same parameter values. 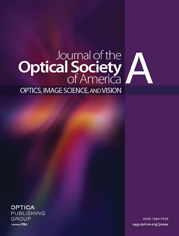 The influence of the viewer’s eye resolution limit on the depth resolution of the multiview images and hologram is also found.